slip rings have become central to the manufacturing and packaging industries, from bulk packaging units of many commodities to carton board processing units, slip rings are everywhere. Since its introduction almost 30 years ago, it is still as relevant today as it was before. what is a slip ring device? The basic premise of a slip ring assembly is that it makes transmission of energy possible from a static component to a spinning component. Industries and various devices operate by motors, and these motor devices consist of two primary components, a stator which is static, and a rotor which spins. Now, the challenge was to somehow make a stable pathway between the static source of inputs such as power, and the rotating component i.e. the rotor. A cable can only be twisted a few times before it breaks, however an electrical slip ring, on the other hand, makes it possible at even higher RPM speed. A slip ring device usually consists of metallic rings typically made of copper, which are fitted to the rotating parts. The static terminal heads are made of graphite or precious metals which are referred to as 'brushes', these brushes maintain constant contact with the rings by rubbing against them and make an uninterrupted flow of power or signals possible. More such slip rings can be attached if a greater number of electrical circuits become necessary. Slip rings have greatly reduced the hazards of space-consuming wire assemblies and vulnerable wires hanging from the moving machinery. Slip rings are compact, less-space consuming and significantly reduces the chances of hazards as well as maintenance, which makes their usage even more attractive in the packaging and manufacturing businesses. Slip rings have found their usage in a multitude of industries, from heat-sealing of packaged of sweets, slip rings in tobacco processing, winders and rewinders used in the lamination of carton boards, collector rings used in the bulk packaging of bags etc. Various industries have distinct requirements based on the product that they process, the appropriate slip rings required for each industry are also distinct from each other in terms of type, building material, type of inputs, shape, size etc. The operators must be careful when selecting the types of slip rings best suited for their machinery. Parameters such as space, the voltage required, the speed of the spinning components, type of inputs to be transmitted such as power or electrical signals, usage in the environment concerned, such as would there be much exposure and higher chances of debris etc. 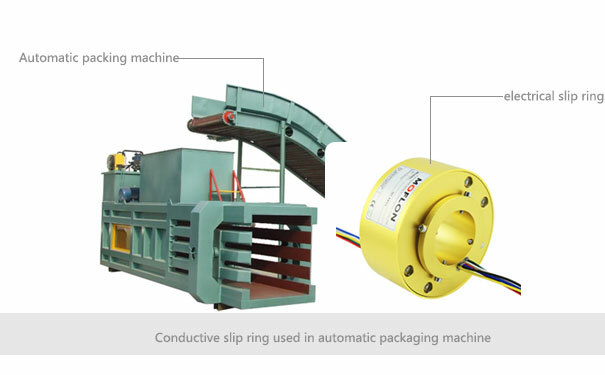 define the type of slip ring to be operated. 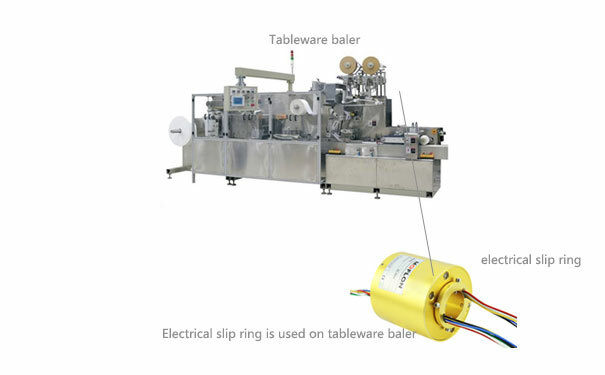 A wide range of slip ring types find their usage in the packaging industries such as modular slip rings fitted with ethernet capabilities to transmit data and signals, mercury wetted slip rings with lower maintenance and high-speed operation, however, the hazardous nature of it prevents it from being used in food and pharmaceutical industries. The pancake slip rings, where space is a factor, as well as the traditional slip rings with highly conductive materials, are used routinely used in these industries.